We just released a new set of our popular “Pro Designs” for your eBay listings. Preview them now in GarageSale‘s built-in Design Store*! The new “Pro: Compact” design even offers tabbed navigation for informational text boxes such as payment-, shipping, or return-terms. This design also comes with many pre-made logos. Even without an eBay store you can use the Pro Designs. For questions and feedback please don’t hesitate to contact our support staff. Our website provides more information about our Pro Designs and GarageSale’s Design Store. 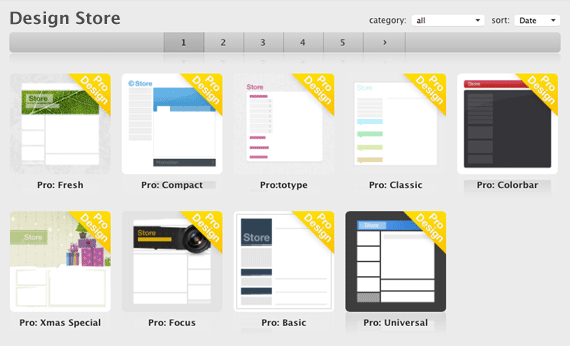 (*) The Design Store is only available in GarageSale version available from our website. If you purchased GarageSale from the Mac App Store, you can cross-grade to the website version. Just download it, no complicated license mangling required. This entry was posted on Friday, October 25th, 2013 at 6:30 am	and is filed under GarageSale. You can follow any responses to this entry through the RSS 2.0 feed. Both comments and pings are currently closed.